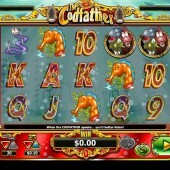 Sadly nothing to do with my favorite fish ‘n’ chip shop down the road, well-known slot developer NextGen Gaming’s comedy slot, The Codfather, is a funny take on the gangster epics coming out of Hollywood over the years. But with fish. Obviously. 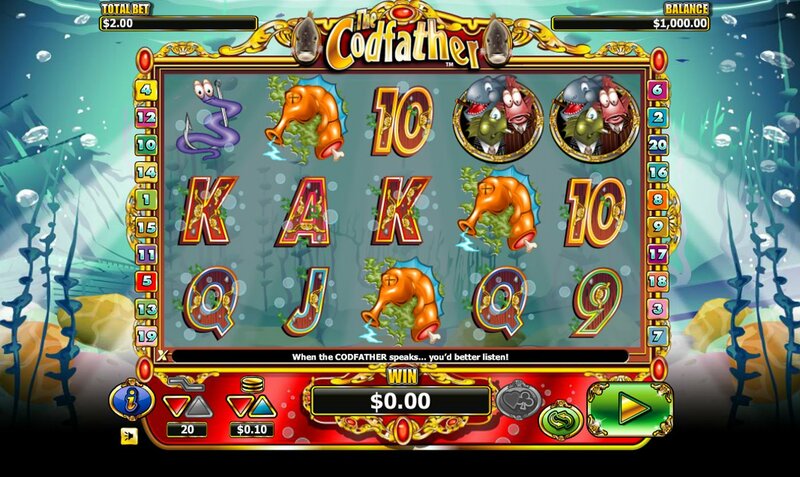 While Playtech's crime-themed Crime 'n' Bandits slot or Cayetano Gaming's '60s British twist on the crime genre, Foxy Robbers, enjoy themselves with some quirky takes on the caper genre, The Codfather goes full-on with its fishy angle(r). As such, we get familiar mobster symbols in this slot – a 5 reel, 20 pay-line game – like a violin case, 9-through-Ace symbols, and best of all, a seahorse’s head (a great nod to the horse’s head in The Godfather). The Codfather himself – the head of this dubious aquatic dynasty – is the game’s Wild, and he substitutes for all symbols other than the Scatter. All Wild wins are doubled when forming a winning combo, so it’s a great icon to bag, but remember, he does only appear on reels 2, 3 and 4. However, when he appears on the three Wild reels at the same time it will trigger a little Pick ‘em Bonus round where you’ll get to choose from five bosses who will offer you a peace offering. Choose wisely and a nice cash bonus is yours. Look out too for the Codfather logo, as it acts as the game’s Scatter. Three or more across the reels will activate a free spins bonus round with 10 spins up for grabs. A 3x multiplier will be applied to all winning from free spins. With its amusing take on The Godfather, fans of the Francis Ford Coppola masterpiece should get plenty of kicks out of this. The rather mean-spirited Wild – only appearing on three reels – is tempered somewhat by it acting as a Scatter too, but fans of cheap and cheerful free spins rounds should enjoy it.